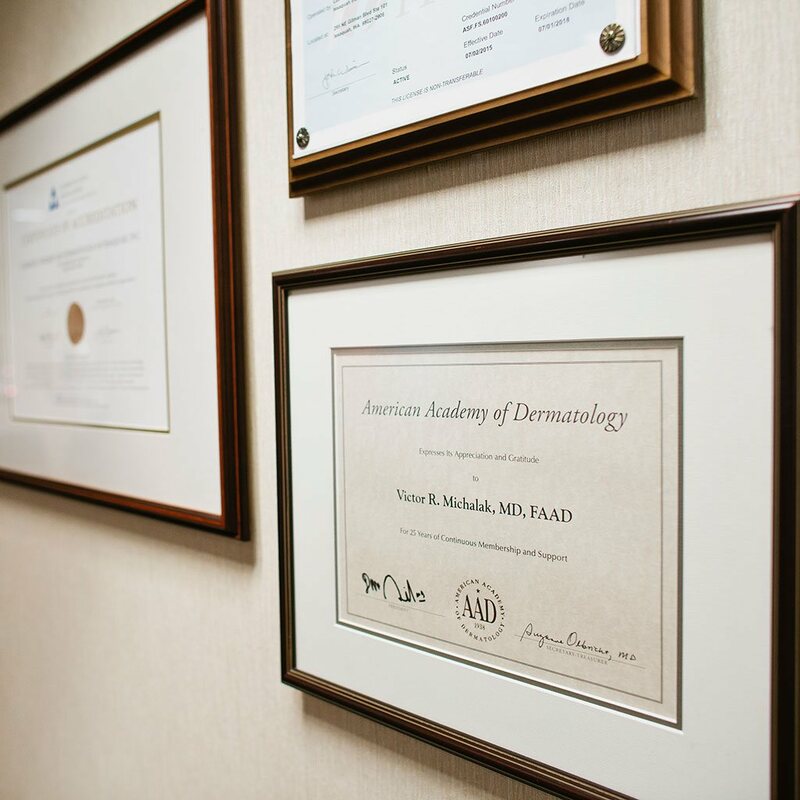 Issaquah & Seattle dermatologist Dr. Michalak is proud to offer laser treatments in his Issaquah & Seattle office to combat many troublesome skin conditions. The Candela GentleLASE is a high-energy, long-pulse laser that can treat all skin types and a variety of conditions. How does the laser treatment work in Issaquah & Seattle? Laser treatment will take place in your surgeon’s office. You will wear safety eyewear to protect your eyes from the laser light. Your practitioner will guide the laser to the treatment areas with a small handheld probe. Each laser pulse may be preceded and followed by a short pulse of cooling spray. A treatment could take as little as a few minutes to as long as an hour, depending on the area and condition being treated. Some patients may feel a slight discomfort with the laser pulse, sometimes described as the snapping of a rubber band on the skin. This discomfort is minimized by Candela’s DCD cooling. For some patients, a topical anesthetic may be used prior to treatment. Be sure to discuss this with your surgeon. The number of sessions depends on the treatment you require and the condition of your skin. For laser hair removal, most people require at least two to three treatments, as the process is only effective when the hair follicle is in its active growth phase. Other conditions may clear in as few as one treatment, but many factors impact the efficacy of individual laser treatments, including the severity of the conditions being treated. Patients scheduled for hair removal should avoid electrolysis or hair waxing for six weeks prior to treatment. If you have had a history of perioral herpes and are scheduled for facial hair removal treatment, prophylactic antiviral therapy may be prescribed. Also, any hair should be shaved, and your skin should be thoroughly cleaned and dried, removing any makeup, cream, or oils on its surface before laser treatment. Your risks are minimal. Side effects may include purpura (a laser bruise), redness, blistering, hypopigmentation, and swelling in the treated areas—these usually do not last more than a few days. Permanent side effects, such as hyperpigmentation or hypopigmentation or scarring, are rare. After laser treatment, avoid sun exposure. In the first few days after treatment, don’t scrub or rinse the treated areas with abrasive skin cleansers. Your surgeon may advise additional precautions. Contact Seattle-area cosmetic surgeon Dr. Michalak to learn more about Candela GentleLASE laser treatments. Please dial 425-391-2500 extension 7 for Carolyn, our cosmetic patient coordinator.